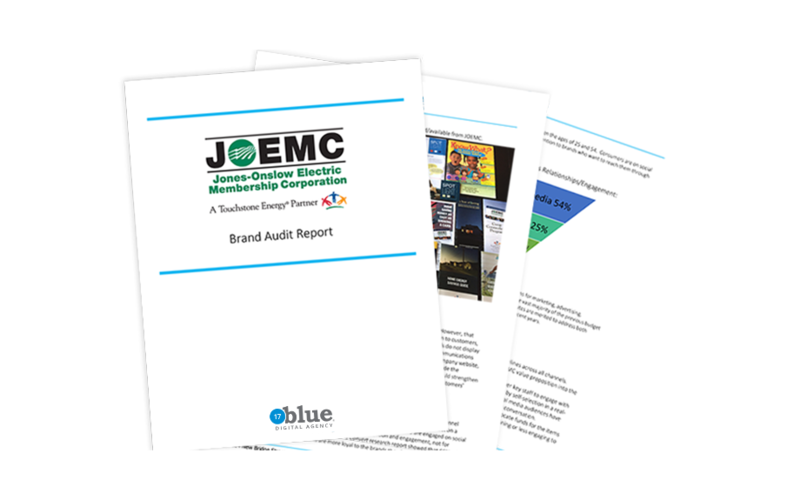 17blue® Digital Marketing Group conducted a Brand Audit for Jones Onslow Electric Membership Corporation (JOEMC) and completed a corporate brand style guide to help ensure relevance and consistency in internal and external communication. 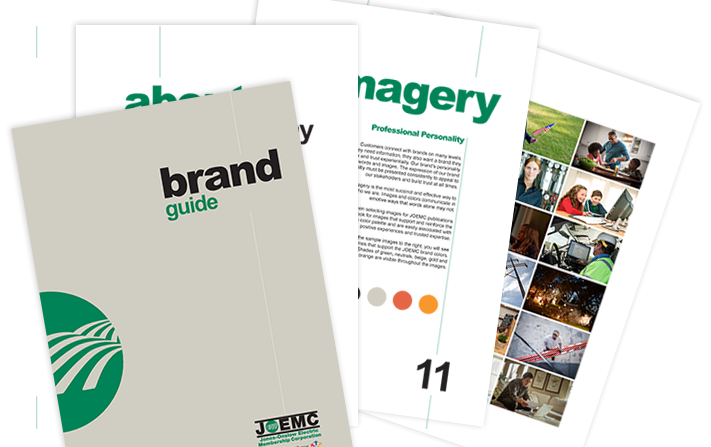 A Brand Style Guide was created for JOEMC to help ensure consistency in messaging and visuals internally and externally. 17blue’s team also served as consultants for a communication plan, conducted an in-house training for the JOEMC Executive and Administrative Teams, and served as a liaison during discussions with their development team in preparation for a redesign of the coop’s website.